This giveaway is extra fun because you can win a package for yourself and one for a friend! Share this with a friend so she can enter too, then you all have double the chances at winning! Teach them to serve others. Teach them to think of others. Teach them to be creative in their service to others. Teach them to be comfortable with older people, younger people, sick people – all people with needs. 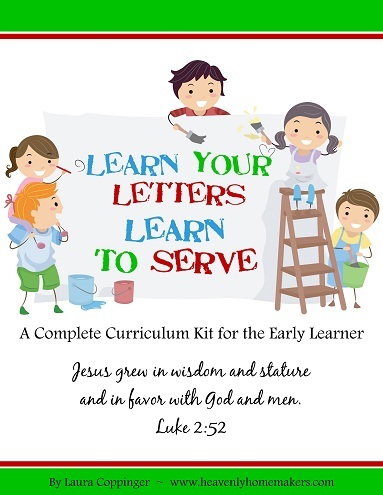 Read all about Learn Your Letters/Numbers, Learn to Serve packages here. This downloadable package contains hundreds of pages of ideas and instructions for activities to help your kids learn letter sounds and counting skills. They’ll memorize scripture associated with each letter sound. You’ll read Bible stories together. There are printables, book selections, and all kinds of service ideas! There’s so many ideas, you can’t possibly do them all, but that’s part of the fun. You can pick and choose what works for your family and your individual kids and run with it! 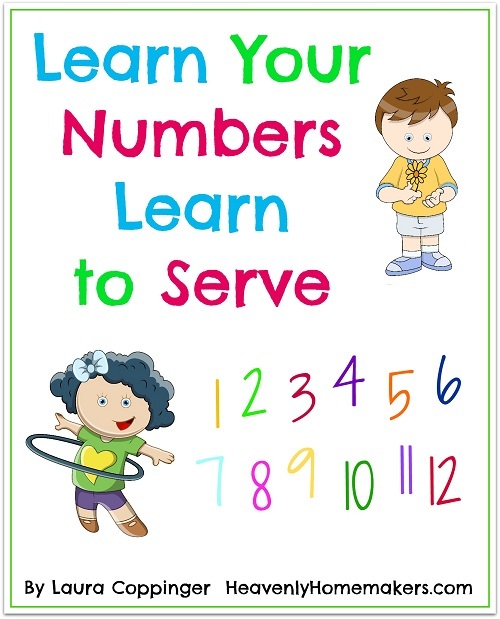 See all the details about Learn Your Letters and Learn Your Numbers, Learn to Serve here. Want to win a package set for yourself and for a friend? Enter to win the Rafflecopter below. Tell your friend to come enter to. Then you both double your chances of winning! I’ll draw a random winner on July 14. Watch for an email sharing about the winners! I have a 3 year old son that I would enjoy doing this with. I would love to win this! I have several younger (and even some older!!) children that would benefit from this so much. Thanks! This would be perfect for my new preschooler! I have a kindergartener, preschooler, and toddler who could all benefit from this! I just read your previous post about this curriculum and would love to do it with my 4 year old! This would be great for my grandchildren. Thanks for the giveaway! This would be good for my almost 4 year old son. So I could give it to my cousin. I’m just getting started on a homeschool journey with my 8 year old and 4 year old this fall and I was just wondering what I was going to do with my 4 year old when I stumbled onto this post! This curriculum looks like exactly what I’ve been looking for! My three year old is very interested in the alphabet. This would be such a blessing to do with my little ones! Looks wonderful! I would love to win this to teach my 3 young boys the joy of serving! I’ll be homeschooling my oldest (6 years old) for the first year in the fall. What a great way to learn! Looks like fun! This would be an amazing way to teach my 4 year old. Thanks for the chance to win it! I would love this set because i am currently teaching my daughter how to count! I was really good about doing preschool with my older boys. My younger ones aren’t getting much. I’d considered your curriculum three years ago but never purchased; now I need it again! What a wonderful way to include learning and serving!